I haven't read all of the Bayside stories, however this did not affect my enjoyment of Bayside Heat, and I will be going back to read them in the future. Bayside Heat is a beautiful story of friendship, of family, of taking the chance on love. I wanted to clonk Drake and Serena's heads together to make them get their act together, to get one of them to make that first move. For them to find love. I freaking adore all of the Cape Cod "family". I love how they all saw what Drake and Serena had been denying, and how they all kinda "pushed" our lovelies together. Bayside Heat is a lovely look down memory lane for Drake and Serena, as they move from the friend-zone they have placed each other in over the years. There is something to be said about being friends before diving in to a sexual kind of relationship, and you can feel the mutual love for each other. I laughed at some of the antics from the other Bayside couples - it was great to catch up with them all again. 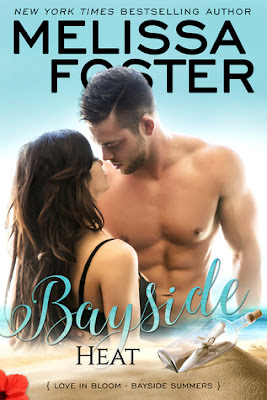 Sweet and tender with a lot of heat, Bayside Heat was a perfect weekend read for me. I can't wait to see what Ms Foster bring us next.